No one likes having pimples, especially the pus-filled kinds that seem to pop up once in a while. It might as well be adorned in a big neon sign that says “look at me!” because I know that’s all I can see when one decides to move in on my face. 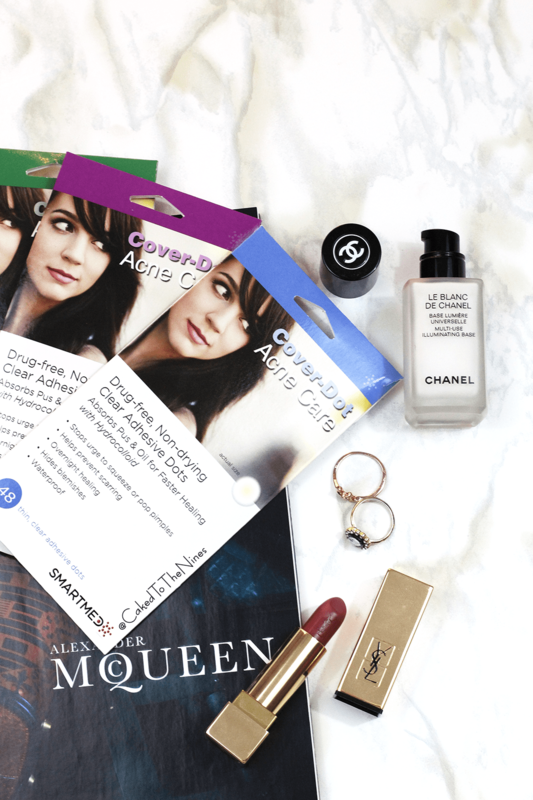 The SmartMed Cover Dot Acne Care patches* are for those pimples you want to conceal and get rid of a lot faster. 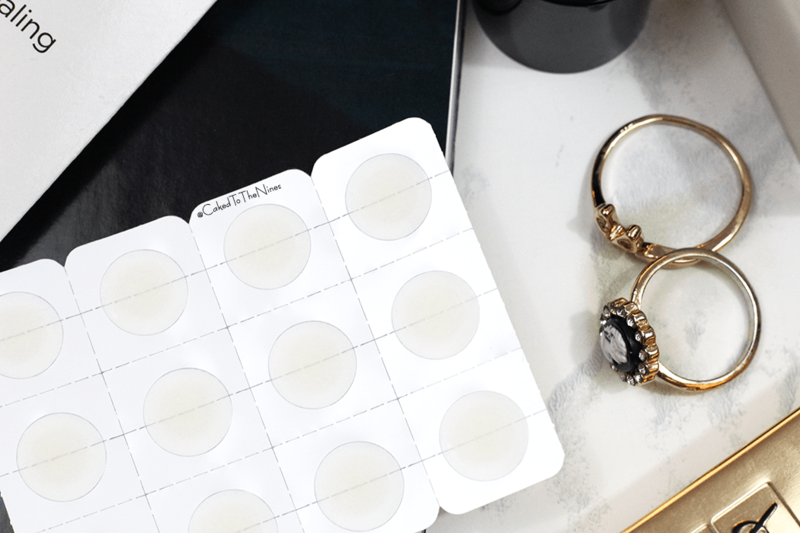 These acne patches help heal blemishes by absorbing oil and pus using hydrocolloid technology, which is natural. They are also great for healing lasered moles and sunspots. Unlike medicated treatments, you can actually put makeup on top of these since they’re so thin and nearly invisible on the skin. About 3 days ago I had a pus-filled pimple pop up on my chin (hormones -__-) and I quickly peeled one of these patches off and applied it on my mountainous pimple, leaving it on the whole night. Once the patch turns white, it’s ready to peel off, and disgustingly enough, the patch had absorbed all the oil and pus and my pimple was essentially gone! These acne patches definitely come in handy because they’re thin so they’re barely visible on your face, and you can’t feel them at all. You can put makeup on top of them so you can wear them during the day, but I like to apply them after cleansing my face at night and sleep with them on so the pimple is essentially gone or reduced by morning. Not only do these absorb oil and pus, but they keep you from spreading bacteria all over your face when/if you accidentally touch your face, and that itself will help heal your pimples and reduce breakouts. I definitely suggest trying these out if you’re looking for an easy way to speed up the healing process of your pimples, and to keep yourself from spreading bacteria that will cause breakouts. You can get 24 dots for $9, 36 dots for $12.50, or 48 dots for $15.75. Have you ever tried anything like this? Let me know in the comments below!